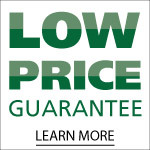 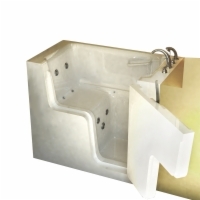 AmeriGlide's large sized Sanctuary Wheelchair Access walk in bath is constructed of fiberglass and triple-coated with a protective gel that helps keep the water warmer for longer periods of time and protects the tub surface. 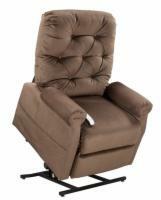 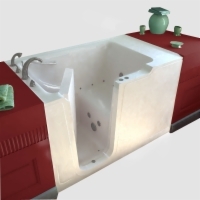 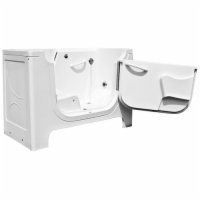 This safety bath is specially designed to facilitate wheelchair transfers, with a full-sized door that opens the seat completely for easy self-transfer with a board as well as caretaker-assisted transfers. 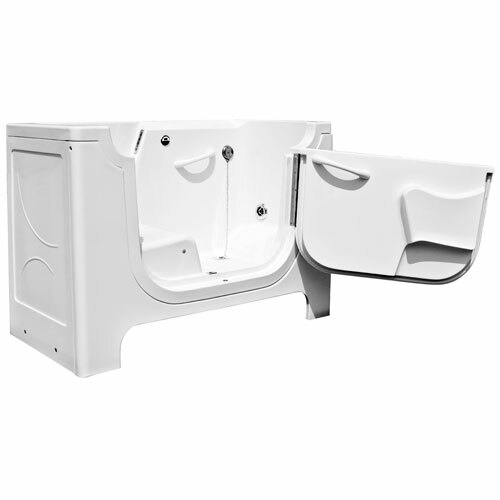 This 65-gallon walk in bath also has a higher seat than other models - 22 inches, compared to a usual range of 15 to 17 inches.